In photography and cinematography, a wide-angle lens is a lens that has a focal length between 14mm-35mm. As the name suggests, a wide-angle lens is used to capture more scene in photography. This Lens is mostly used in landscape, architectural and interior photography. Their angle view is typically placed from 64° to 84°. 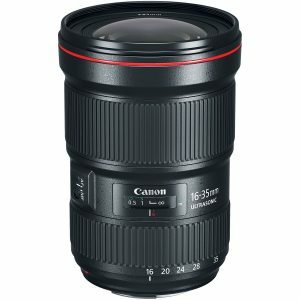 Before getting into the list of top 10 wide-angle lenses, we will highlight a few parameters which you need to consider before deciding which lens you need to go for. Before buying any type of lens, it is important to consider what your niche of photography is. If you are into portrait photography, then wide lens won’t do much justice. On the other hand, if you are into landscape photography, then a wide lens will be the best option for you. Most lens producers offer both full-frame and APS-C lens. But it becomes confusing for buyers as to which one is more suitable for them. The answer is simple, it depends on your camera body. If your camera supports Full frame lens then go for it, or else APS-C.
A major deciding factor is your budget. If you are sure about your budget, then you can easily go for the lens which is in your budget range. 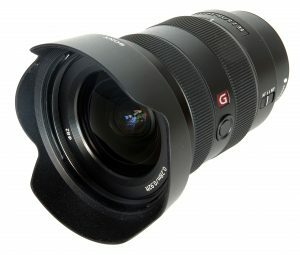 G-Master (GM) Lenses are said to have a better detail when matched with high-resolution lenses, in terms of excellent bokeh performance and high-end reliability. 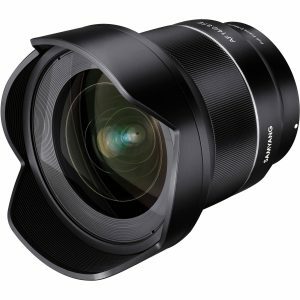 Sony has claimed that even at f/1.4, this latest and eight addition in Sony’s G-Master lens series, gives a spectacular resolution. The user can have full control with Chromatic Aberration tolerance in Sony FE 24mm f/1.4 GM no matter what aperture is selected. Sony FE 24mm f/1.4 GM may face issues with vignette, but it can be dealt with after some post-processing being done. 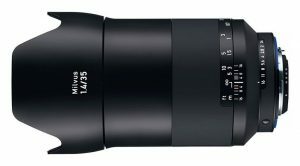 Available at around $1400 in Amazon, this lens by Sony has very less amount of distortion, at +0.1 barrel distortion in corners when mounted on NEX-7, which is barely noticeable. This wide-angle lens for Nikon and Canon SLRs are versatile for all kinds of stunning photography like – portrait subject, landscape, and architectural design. Available at just $1750 at Amazon marketplace, the f/1.4 aperture is designed to work best in low-light conditions as well. It is also designed to withstand any kind of rough weather condition, including internal seals to avoid any problem that may arise due to dust and moisture. This wide-angle lens is designed with a bright f/2.8 maximum aperture to work best in challenging lighting conditions and mostly used in astrophotography. The autofocus system offers fast, accurate and quiet focusing performance. Available at just for $599 in Amazon, this lens is durable. Its integrated lens hood helps to block stray light that can cause flare or ghosting in capturing a photo. This wide-angle lens ranked at top 10 wide-angle lenses to choose from in 2019, offers consistent performance throughout its zoom range. 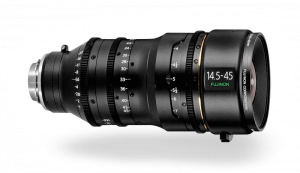 It is expensive but worth every penny you will spend on this lens. It gives the maximum corner to corner resolution. It offers fast, quiet and precise focus. Priced at $1698, it has a dust and moisture free sealing done to click a good picture with any weather hindrance. This lens from Sony produces smooth and soft-edged bokeh background to give a photograph a soft look. 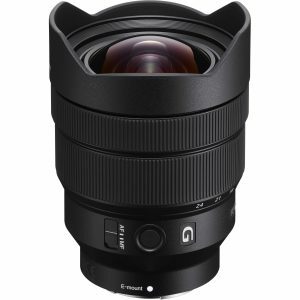 This lens is a part of Sony’s G-Master lens series, which means it is designed to produce high-resolution images and achieving sharpness with post-production editing. One of the expensive lenses at $2,198, this lens provide reduced surface reflection, flare, and ghosting. The 28mm lens provides an aperture of f/1.4 which gives the best low light performance, depth-of-field control, etc. 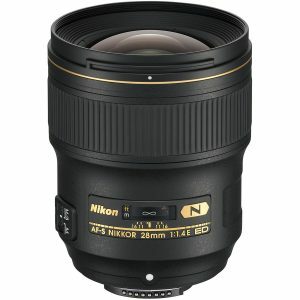 This fast and versatile lens from Nikon, Nikon AF-S NIKKOR 28mm f/1.4E ED, provides maximum depth of field control and brilliant low-light performance. It is designed for FX-Nikon F-mount cameras but also can be used on DX models. Priced at $1996.95 on Amazon, its front element is coated on fluorine to provide protection on the optical system. 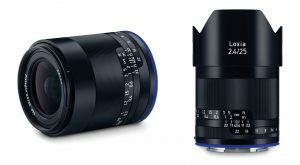 Another lens from Zeiss, that is designed to mount on Canon EF is Milvus 25mm f/1.4 wide angle lens. Seven anomalous partial dispersion elements are used, which helps in working low-light situations and provides better control over the focus position. This lens are a little on expensive side pricing $2159 in Amazon; it has an all-metal lens barrel which frosted and anodized surface. The technicality of this lens is a real pleasure to use. It is designed for Sony E-mount with an aperture range of F2.8 –22. It is not necessarily meant for videography but can be used for wide-angle photography to get the best results. Priced at only $269, this lens produces a little noise while auto-focusing, with aluminum alloy housing making it both lightweight and durable. 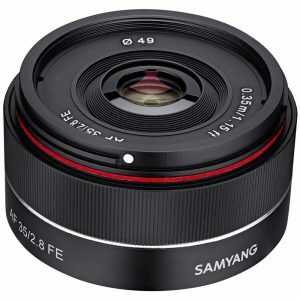 This wide-angle lens is compatible with full-frame Canon EF-mount DSLRs. Its f/2.8 offers consistent performance constant lighting through the zoom range. Subwavelength coating and Air sphere coating reduces flare and ghosting and helps to get high contrast in bad lighting condition. Protective fluorine coating on the bulbous front element prevents fingerprint and smudges on the lens. It is priced $1900 in Amazon. With an aperture range from f/2.4 to f/22, it is well suited to photograph landscape, nature, and astrophotography. It is designed to mount on Sony E-mount mirrorless cameras and can provide versatility in various lighting conditions. It provides an edge to edge high-resolution image with a little post-production editing. Partial dispersion elements reduce color fringing. These are only 10 cameras that can be placed at the top of our list. You can always find a wide variety of wide-angle cameras on Amazon and different other marketplaces that gives an excellent result at an affordable price.